The Health Ministry's Screening Committee (HMSC) is a high level committee, and was constituted by the Ministry of Health and Family Welfare (MOHFW), Government of India. The committee takes decisions on the international research proposals in the field of health research, requiring foreign collaboration and assistance from the foreign funding agencies. The HMSC is chaired by the Secretary, Department of Health Research, MOHFW, Government of India and includes representatives from the MOHFW including Directorate General of Health Services, National AIDS Control Organization, Department of Health and Family Welfare, Department of AYUSH, Ministry of External Affairs, Ministry of Finance, Department of Biotechnology, Department of Science and Technology, and Directorate General of Armed Forces Medical Services. It meets regularly at an interval of every 3 months. It carries out screening of all the proposals involving foreign collaboration on a bilateral basis. It periodically monitors the progress of bilateral agreements between India and other countries and makes suitable recommendations regarding their implementation. It gives the final approval for transfer of biological material. 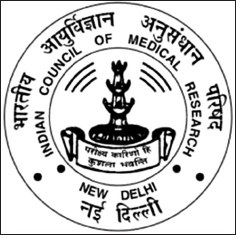 The Indian investigators are required to submit their research projects involving foreign assistance to Indian Council of Medical Research (ICMR) through HMSC. The ICMR acts as the technical arm for this committee and is responsible for the technical review of the collaborative proposals. The International Health Division at ICMR is the secretariat for HMSC and facilitates the placement of collaborative research projects before this committee as a mandatory requirement. The Indian collaborator is required to submit the proposal and related papers to ICMR in a prescribed format. The list of documents/necessary clearances to be submitted along with the details on international collaboration is available on ICMR website: http://www.icmr.nic.in. The research proposal is required to be submitted in the prescribed format of the concerned funding agency/foundation. If there is no prescribed format, proposal is to be prepared using ICMR format which can be downloaded from the ICMR website. Further details are available at the ICMR website: http://icmr.nic.in/icmrnews/OM_IHD.pdf.